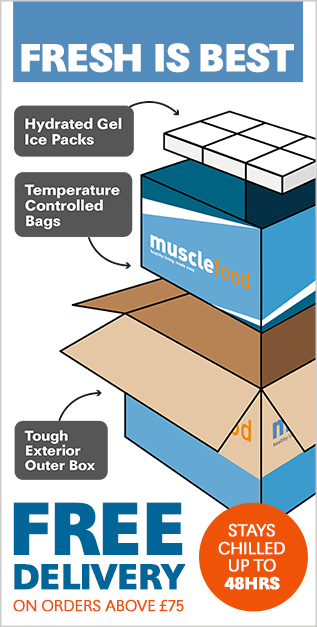 At MuscleFood we believe everything should be convenient and simple, including your nutrition. That’s why we’ve set up our Simple Repeat Order Service to make sure you get all your essential foods, when you need them! 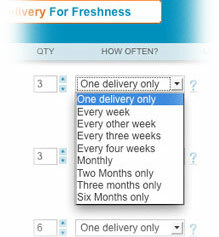 At checkout, you can choose how often you’d like to receive your products. For example, choose to receive your chicken every week, your whey protein every month, whatever suits you. We'll remind you before each delivery, in case you need to change your order. Don’t panic, payment won’t be taken in one go! Your account will be debited two days before each delivery. You can amend or stop your order at anytime. There’s no minimum term and no obligation. If your product is on offer at the time of payment, you will automatically receive it at the reduced price. So, no more scouring the supermarket aisles or waiting in line at your local butchers, just gourmet produce on time, every time! When you’ve added your goods to your basket, just go to the basket page as you normally would to checkout. 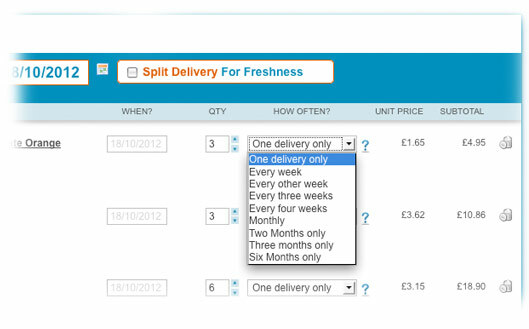 Simply select how often you want each product and then confirm your order as normal. We’ll take care of the rest! Any time you want to make a change or stop your order, just sign in and click the ‘My Account’ link at the top of every page; from there you can make all the changes you need.